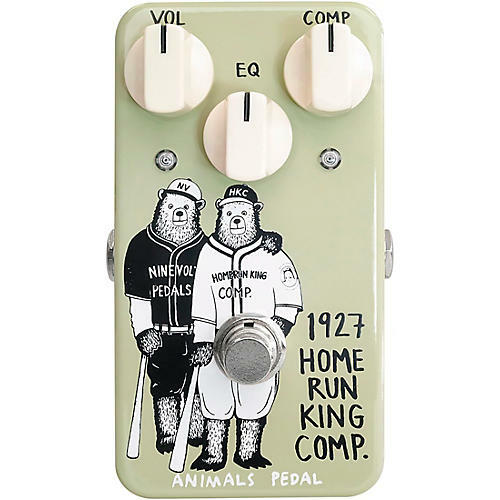 The Animals Pedal 1927 Home Run King Compressor offers studio-quality compression in a pedal board and budget friendly package. It features a simple control system to level high and low frequencies while controlling tonal density and sustain. A Volume control sets the overall output level of the pedal, EQ controls the frequency range and Comp sets how much or how little compression you want running through your signal path. It also boasts two LED lights – one to indicate if the pedal is active or bypassed, and one to show when the compression is working hard.